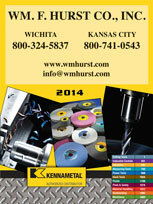 If you need a distributor that can provide quality industrial abrasives for your business in Kansas City, Wichita, Dallas, Fort Worth, or any other nearby city in the Midwest, then look no further than Wm. F. Hurst Co., LLC. Our industrial supply company has become the top choice for many businesses in the area because of our experience, vast product knowledge, comprehensive inventory of supplies, and dedication to serving our customers. We have provided businesses in the area with reliable industrial supplies for more than a half century, and we offer a wide selection of coated, bonded, and non-woven industrial abrasives that can be utilized for a variety of applications. We also employ industrial supply experts who have knowledge across a wide range of industries, and they have the expertise to help you choose the right product for the job. The supplies you secure through us can help you improve processes in your operation. 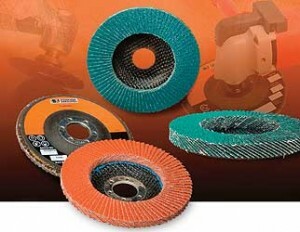 In addition to our selection of industrial abrasives, we offer a wide range of other supplies. Our inventory includes assembly tools, air-powered tools, material removal tools, metalworking fluids, and other MRO supplies. If you would like to receive more information on our selection of industrial abrasives or any of the other tools and supplies we offer, please contact us today. Wm. F. Hurst is an industrial supply company that proudly serves businesses in Kansas City, Wichita, Dallas, Fort Worth, Joplin, Sedalia, Columbia, and many other cities in the Midwest.